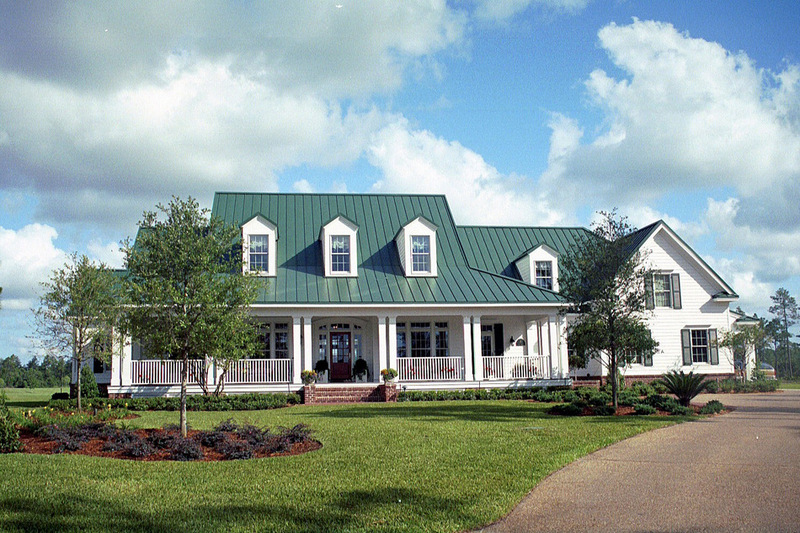 Summer Lake was built in Glen Keman Golf & Country Club in Jacksonville, FL, on a lot with water-to-golf views. The 5500 sq. ft. house has the laid-back attitude of the Low Country style of the Southern Coastal Plains, with extensive wraparound porches, lap siding, and a metal roof. Summer Lake was commissioned by Southern Living for the 2000 Southern Living Idea House, and appeared in the company’s magazine’s August 2000 issue.